First off, there’s the issue of whether we’re talking about the anime or the manga, since the each progressed a little differently. We also confront that issue here when doing a look at the timeline as a whole, but thanks (?) to the fact that the anime basically ignored almost all of the lore associated with Nehellenia and Sailor Galaxia, we’re basically left with following the manga here. Second is the problem surrounding how we rectify the adventures of Sailor V with the very beginning of Sailor Moon. It’s probably safest to consider Codename: Sailor V not strictly a part of Sailor Moon‘s canon, but it is something that needs to be considered — especially considering how much information the manga provides on the Silver Millennium. So this is all just a really long way of saying that I realize the following timeline glosses over the “major” events of the series, but that’s something I’ll circle back in on and discuss at a later date. But now that we’ve got that out of the way, onto the timeline! For the sake of our sanity simplicity, I’ll be breaking the timeline up into three sections: Ancient Times, Modern Day,1 and The Future. Though Ms. Takeuchi never says it specifically, I think it’s a safe assumption that the Galaxy Cauldron came into being around the time that the first stars began to form in the universe — roughly 200 million years after the big bang.2 This is also when Chaos comes into being. Also known as the Silver Millennium, it’s not exactly clear when this takes place, but this is when Queen Serenity comes to the Moon, forms the Moon Kingdom with the power of the Silver Crystal, and helps protect the Earth from the negative particles. It’s a bit vague in the story, but it’s not exactly clear what the status of the Golden Kingdom is at this point and how life on Earth is going. So we’ll just conveniently ignore that. Taking a page out of Sleeping Beauty, Nehellenia crashes the party celebrating the birth of the next Serenity in the family line and places a curse on them. Queen Serenity doesn’t appreciate this and banishes Nehellenia to a mirror. Princesses Mercury, Venus, Mars, and Jupiter are already alive at this time and become the new Princess’ protectors, which begs the question of how old they actually are. We can assume that since the people of the Silver Millennium live for approximately 1,000 years and hardly age a day that they could have been born quite a number of years before Princess Serenity. But, alas, the series is mum on this point. An Earth woman named Beryl falls in love with Endymion, Prince of the Earth, but he’s in love with Serenity, the younger one and definitely not her mother. Beryl isn’t a fan of this, succumbs to Queen Metalia’s promises of power, and the two manage to brainwash/possess a sizeable Earth army, including Prince Endymion’s closest guards, the Four Kings. Beryl accidentally kills Prince Endymion in an attempt to murder his girlfriend, Princess Serenity is overcome with sadness and kills herself, and Sailor Venus shows just how much of a bada cool fighter she is and kills Beryl. Queen Metalia keeps fighting the good (?) 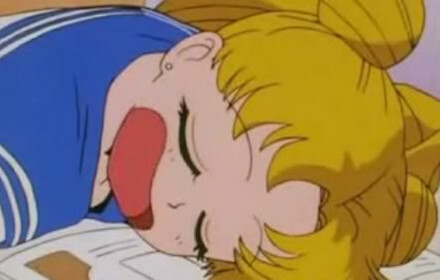 fight, destroys the Moon Castle, beats back the Sailor Senshi, and Queen Serenity gives the last of her power the Silver Crystal in order to have everyone reincarnated on Earth in the distant future… with the exception of Luna and Artemis, who are put into a cold sleep to awaken at a later time. Again, the people on the Moon live long lives, so it’s entirely possible that this was a mere 14 years after Nehellenia’s curse, or hundreds of years. With Queen Serenity dead and the Moon Kingdom is gone, Nehellenia is free to bring her negative vibes back to the Earth, which Helios does his best to combat… with prayer. Such a good kid. It’s not clear exactly when Nehellenia goes out to find the Sailor Quartet and bring them under her control, but this looks like as good of a time as any to throw that little plot device in. Queen Serenity obviously wasn’t clear enough about what she meant by everyone being reincarnated in the future, because the Silver Crystal literally reincarnated everyone–including the people responsible for this mess in the first place. A year or so before the beginning of the Sailor Moon story, Queen Metalia awakens and once again finds her minions of choice: the newly reincarnated Beryl and the Four Kings. Around this time, Artemis also awakens from his cold sleep.4 Cue the start of Codename: Sailor V.
As I mentioned earlier, doing an in-depth look at each of the story arcs is beyond the scope of this article, but suffice it to say that a lot of things happened and there are a lot of mysteries surrounding time travel, so we may actually be dealing with several different timelines from the Black Moon arc and beyond. Usagi becomes Neo Queen Serenity and founds Crystal Tokyo at the age of 22, roughly in the year 2000. ChibiUsa is born shortly thereafter, and the world experiences a prolonged period of peace. Read also: How Many Sailor Plutos Are There in Sailor Moon? 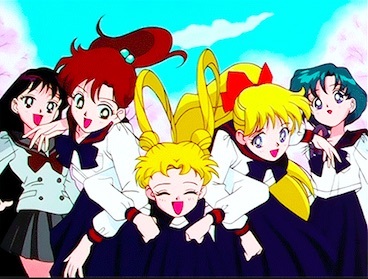 It’s not clear what exactly happens to the rest of the inhabitants of Earth, but I think we can assume that Usagi’s family and everyone else also were granted the same benefits by the Silver Crystal. 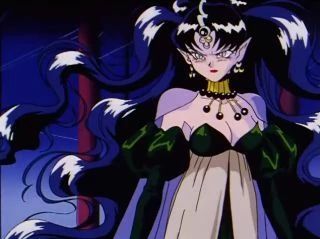 Under Neo Queen Serenity’s reign, the Earth enjoys a prolonged period of peace… that is, until Death Phantom comes around and begins to stir up trouble with a group of people who are unhappy with Queen’s rule and enforced peace. Like all good rulers, she banishes them Nemesis, the theorized tenth planet that exists right at the very edge of our Solar System. Over time, Death Phantom becomes one with Nemesis, and this planet/spirit hybrid will come to be known as Wiseman. Some time later, Wiseman breaks Nemesis free from its orbit at the outskirts of the Solar System to make its way toward the Earth. 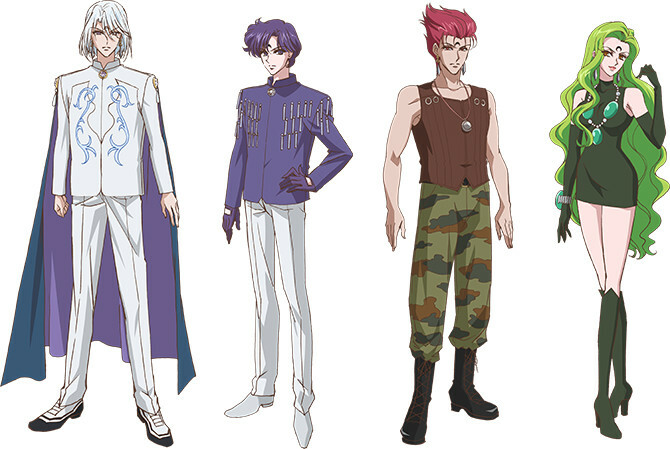 It’s not totally clear to me if the people who were initially banished from Crystal Tokyo are the same people who we see in the Black Moon arc or if they’re actually their ancestors. 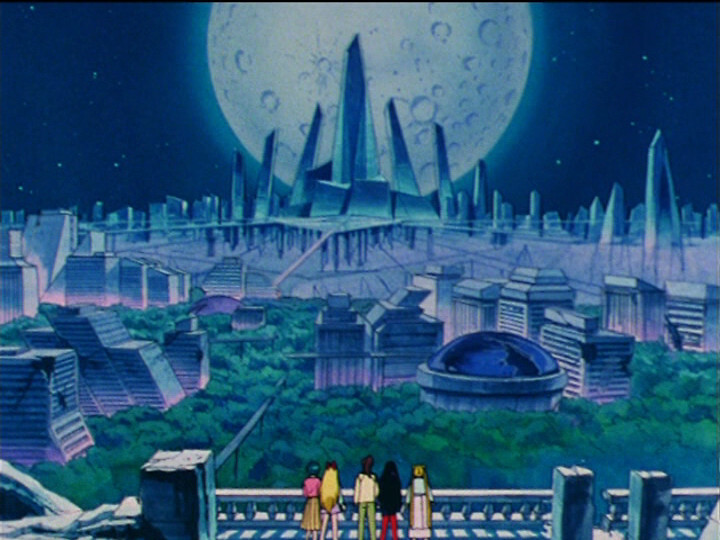 It’s entirely possible that once being banished from Crystal Tokyo, they no longer were granted (near) immortal life and they continued to have families, children, and whole new generations of Black Moon families who could grow up bitter toward the Neo Queen. In any case, when Nemesis comes around, it comes with a vengeance. 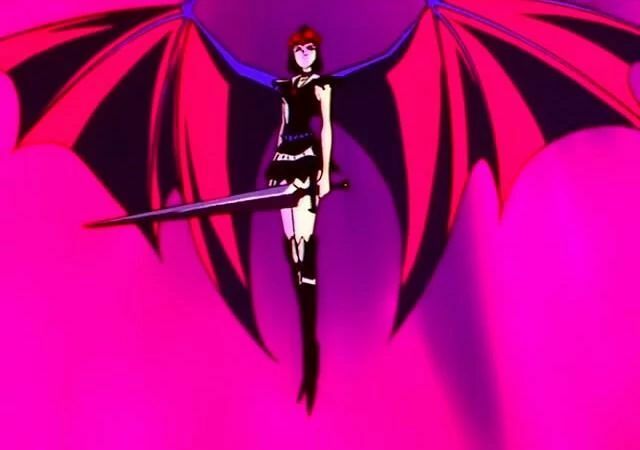 The Black Moon, helped by Wiseman, lays waste to Crystal Tokyo and the Sailor Soldiers, leaving a young ChibiUsa no choice but to escape to the past to seek the assistance in the past. At some point in the far-flung future, Usagi (or, as some people might argue, Usagi’s descendant)5 becomes Sailor Cosmos, she fights against Sailor Chaos, things don’t go according to plan, and she goes back to the past. It’s all pretty vague here, so I can’t really say much more. And that is pretty much the story of Sailor Moon in a nutshell! I realize that I glossed over a lot of the more general parts of the series here, but I think that this at least touches on all the major important points when looking at the timeline without getting bogged down with specifics. At some point in the future I’d like to take a closer look at Codename: Sailor V and how it fits into the series lead up, but alas that’s another story for another time. Is there anything I missed? Left out? Put in the wrong place? Let me know, I’d love to hear your thoughts! 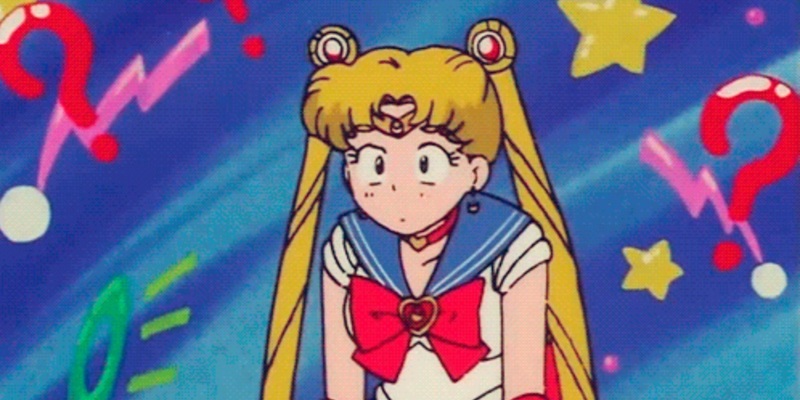 ← How Did the Sailor Senshi Get Their Planetary Names? It’s all so frustratingly vague sometimes! And forget trying to figure out how real world history might fit in. I remember the last time I read the manga, I really latched onto the multiverse theory, where Chibi-usa was basically from the future of another Earth. I remember there being one little detail that disporoves that theory (though I can’t remember it). Oh well. I’m actually about to start running a Dungeons and Dragons campaign based on Sailor Moon. One of the things I’m thinking of doing is adapting the plot from the Another Story video game. While that took place after the Infinity arc, I think I might put it after Stars. The villains’ goals will be a last ditch effort to stop Crystal Tokyo from even forming. I really like the possibility of jumping around through time and revisiting stuff that the game plot provides. It would be interesting to revisit things mostly glossed over in the anime/manga. I actually was working on a pen-and-paper Sailor Moon campaign for awhile — I’d love to hear more about your campaign and how it comes along! If you keep track of it anywhere online, please drop a link somewhere. It’d be awesome to see how other people have adapted the universe into a proper D&D-style RPG. I owned the RPG book back in the day, but have sadly parted ways with it. Though after looking at the mechanics, I figured I would stick with D&D 5e since it’s a system that I know and love. Translating the Senshi into D&D classes has been a challenge, though, because I know my players want to play something recognizable. But I think I’ve mostly figured it out and it will really only require some renaming of spells and the changing of damage types. Plus a few magic items here and there. For the most part, I don’t think I’ve chosen anything crazy rule-breaking, but only time will tell! I hadn’t thought about documenting the process, but I just might. No idea how to go about it, though. Hilariously, social media makes me feel much older than I am. Besides Facebook, I haven’t touched anything since a Blogspot page from roughly a decade ago. Some Millennial I am! Was Queen Serenity actually responsible for everyone being reincarnated in the manga? I thought that was only a plot point in the anime, but I may be completely wrong about that. I just looked over Act 10 to see if it was ever stated outright there, but I can’t find it said explicitly. You know, you’re absolutely right… in the manga, she’s not clear at all as to what reincarnated them. Also, after stabbing Mamoru and then herself at the beginning of Act 13, Usagi seems to believe they will be reincarnated again. Maybe reincarnation is just a thing that happens in the Sailor Moon universe? That could explain the weird timing issues with Sailor Saturn and also why the Dark Kingdom was also reincarnated, but it makes me question what the limits are to this mechanic. The original reincarnation makes sense in terms of Sailor Saturn’s “death and rebirth” abilities, so I guess it’s easy enough to explain away the Silver Millennium. But yeah, everyone just seems to kind of assume that people will get reincarnated as a matter of course. I suppose this is somewhat open to interpretation, but it does suggest that Queen Serenity was not the first queen of the moon and did not found the Moon Kingdom. Also “she” did not come to the moon; her star seed did, the way everyone else’s star seeds go to their home worlds from the Galaxy Cauldron. Snow Princess Kaguya mentions she tried to take over the earth 4.5 million years ago, so you should add that to the timeline (unless you’re not considering that story strictly canon). 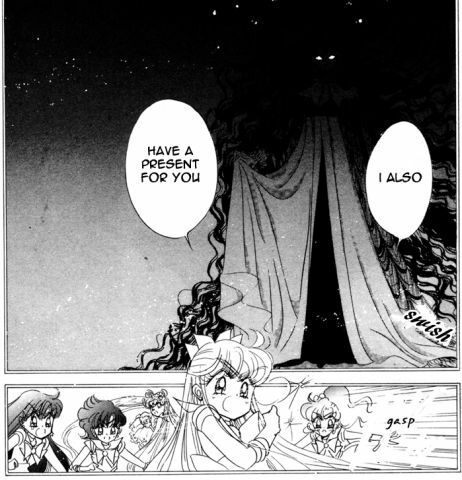 Chibiusa mentions getting Diana on Christmas, so you might want to add that to the timeline as well. You might also want to add Queen Serenity’s trip to the Galaxy Cauldron where she presumably made Princess Serenity. Unfortunately, it’s not so cut and dry. 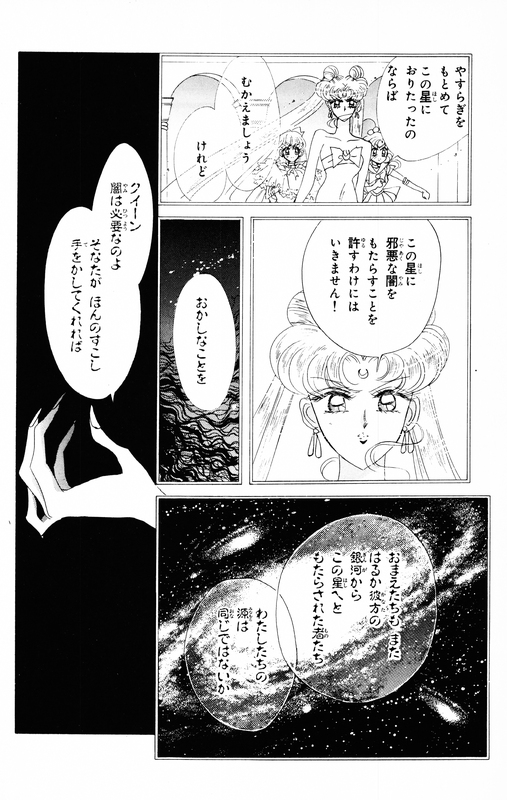 In Act 41, Nehellenia explicitly states that Queen Serenity herself came to the Moon from another galaxy after she had embedded herself in the still-forming Moon. This implies that (1) it wasn’t a Moon “family” that had been living there and ruling for ages, but instead Queen Serenity herself (if Nehellenia has been living there for that long, then it’s not unthinkable that Queen Serenity has been as well) and (2) that it’s not her Sailor Crystal that came, but rather Queen Serenity the person. The reasoning behind number 2 being that Nehellenia states that Queen Serenity (and her court?) came from a far off galaxy, while the Galaxy Cauldron is located within the Milky Way. Regarding the statement in Act 10, you’re right, it could go either way. However, it’s worthwhile to note that there is no plural “we” in that Japanese sentence (or singular “I” either), so it could really go either way. Conversely, it could be that she has been entrusted (by the Moon?) with the Silver Crystal and uses it to protect the Earth. Snow Princess Kaguya mentions she tried to take over the earth 4.5 million years ago, so you should add that to the timeline (unless you’re not considering that story strictly canon). Though I don’t personally consider it canon, probably worth adding in! Nehellenia uses the phrase “彼方の銀河” which could be translated as something like “far away galaxy” but it could also mean “other side of the galaxy.” Since she’s talking about Queen Serenity and the Inners, it seems more likely that she’s saying something like “other side of the galaxy” and referring to the Galaxy Cauldron, since Naoko was starting to set up the Stars arc. It seems very unlikely that Queen Serenity and the Inners would originally be from outside the Milky Way. If she meant the other side of the galaxy, 「銀河の彼方」 would be a far more natural way of writing it. Or at least that’s the nuance I’ve gotten from asking several native speakers. It could simply be a case of Naoko being wrong / making stuff up on the fly, but 「彼方の銀河」 does strongly imply that Queen Serenity comes from outside the Milky Way. Even though I agree that this doesn’t exactly make sense. However, considering that Queen Serenity went to the Galaxy Cauldron for the birth of Princess Serenity, it’s entirely possible that Queen Serenity came from some far-flung galaxy and does not have a Sailor Crystal herself and that Princess Serenity was the first to be born with the Moon Sailor Crystal. Just another case of not having enough information and the story contradicting itself. Again, Nehellenia isn’t just talking about Queen Serenity (she uses the plural you, indicating the Inners are included), which is what makes her statement weird. I think it’s possible that at that point in time, Naoko hadn’t refined her idea of the Galaxy Cauldron yet. Perhaps she intended it to be outside the Milky Way and have Stars be a universe-wide story, but ultimately scaled it down to being galaxy-level, thus creating a bit of a discrepancy. We’ll never know for sure unless she’s asked about it (which will probably never happen), so personally I’d err on the side of caution and interpret Nehellenia’s remark as meaning “other side of the galaxy” even if it’s not phrased in the most natural way, just because in the context of the story, that interpretation makes more sense. This makes me want to read a more detailed outline of what exactly the Silver Crystal is and if Serenity and Usagi share a star seed or if Usagi’s is a new version like Chibi-Usa’s Pink Moon Crystal. It’s entirely possible that Queen Serenity may have simply been the ruler of the Moon, while not necessarily being Sailor Moon. Or at least that’s my guess. Though we don’t exactly have a lot to go on, it’s my assumption that the person we know as Sailor Moon (and the Sailor Moon star seed?) didn’t exist until Usagi came about in the modern day. Considering that the Silver Millennium was a period of endless peace, and that the Silver Crystal afforded the Queen nearly limitless power, it’d make sense that there was no need for a Sailor Soldier of the Moon. Yeah, I never got the impression Queen Serenity was a Sailor Moon in her day. I think she was just a godlike being, not unlike Pluto’s father, Chronos. Now Chronos is someone I’d love to know more about: did he make Pluto the same way Serenity made the princess? Is he still alive? If not, how did he die? If so, where is he now? Does he ever visit his daughter? Etc. There are so many unanswered questions in this universe; they need to release an official encyclopedia or something. I also don’t believe Serenity was Sailor Moon, just as Neo-Queen Serenity isn’t Sailor Moon. I just wonder how closely connected the Silver Crystal and Usagi’s Star Seed are, it sometimes seems as if they are the same thing. It always confused me.